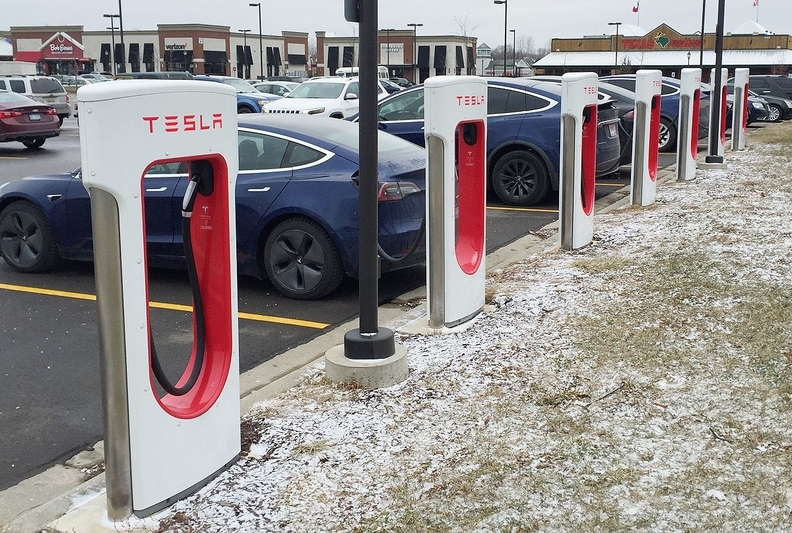 Teslas get recharged on a recent Friday near Ann Arbor, Mich. Temperatures in Michigan hit record lows last week. The next time a polar vortex rips through Canada and the United States, electric vehicle owners should be prepared to be frustrated if they don’t take special care of their battery-powered rides.